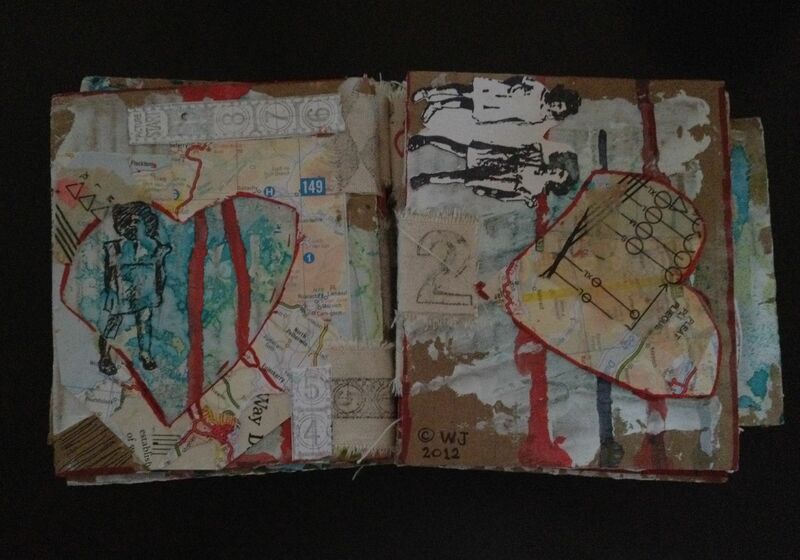 This is a grunge journal that I made in a class offered by The Ink Pad and taught by Dina Wakley. By now, in 2012, blogging is no longer new. The buzz has moved on to publishing on Kindle, or appealing to various demographics by searching for hot “key words.” Still, I check “my blogs” for news of friends, news of ways of living and making art, and even news of news. Blogs, like classes, bring us together. 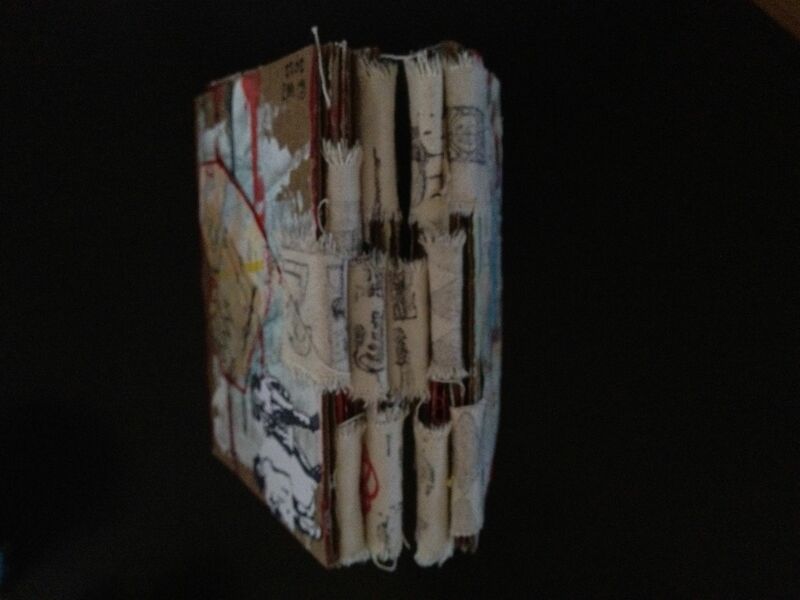 Here, I hope to explore art journaling, making other art, looking at life through an art filter, and sharing all of the above with friends. A blog is a way to offer a bit of oneself, and welcome and build one’s community. At least that’s my excuse and I’m sticking with it. Those in the know will recognize that I am a technological rookie. I’m on a learning curve. Welcome aboard!